Really, Did Billions of U.S. Taxpayer Dollars and 4,497 U.S. Combat Deaths Bring Democracy to Iraq? On 14 APR 16 Muslim Sunni Kurdish security forces (Asayesh), the Kurdish Regional Government (KRG) equivalent of the FBI, imposed a blockade on four Assyrian Christian villages in the Nahla district in northern Iraq. This was done in order to prevent Assyrian Christians from traveling to Arbel to participate in an approved civil protest against Muslim Sunni Kurdish attempts to take over their land in the Zoly village. Cars belonging to the KRG security apparatus, driven by those who answer to Masoud Barzani, were parked across the roads leading out of Nahla, preventing more than 100 Assyrian Christians from leaving their villages of Upper and Lower Hezani, Zoly, and Khalilane to participate in the peaceful protest. The problem for the Assyrian Christians, whose historical homeland is being systematically seized by everyone in the region, is that in order to deal with the illegal seizure of their lands, they had to send a protest letter to Masoud Barzani asking him to legally and peacefully remove a fellow Muslim Sunni Kurd named Ibrahim Hajji Yasin from their lands. In response, Barzani sent out his armed forces to block the Assyrian Christians in their own villages in order to keep them from traveling to Arbil to participate in the peaceful civil demonstration against the illegal takeover of their Assyrian Christian village. Worst of all, there is a major consequence resulting from the continuing love affair between Congress and the U.S. State Department on one hand, and the Muslim Sunni Kurdish lobby in Washington on the other, plus the Kurds’ insistence that the U.S. must recognize the KRG as a legal entity in Northern Iraq which represents all minority interest’s in the region. That consequence is that the Assyrian Christians (who are undergoing a genocide) have found that they may have a face in Washington DC but have no voice in D.C. to check the Muslim Sunni Kurds from using force to deny them their rights to peacefully protest or for them to be able to halt the KRG and local Muslim Sunni Kurds’ in their efforts to seize Assyrian Christian lands. In Washington, it is hard for the politicians who are on the KRG’s political payroll to admit that they may have taken monies from the wrong partner for years, especially during an election year. It is harder when they do so knowing fully that the Assyrians are undergoing genocide. Both Washington and the KRG are desperate to have an Assyrian face to a future Kurdistan, which they have invested billions of dollars in. However, they do not want it to have an Assyrian voice given it goes against their economic and political interests in northern Iraq and western Syria. Thus, the Assyrian Christians will not receive the same support needed to allow them to govern and secure their own lands and homes and to ensure that all Assyrian Christian genocide security issues are dealt with at the local levels to the benefit of Assyrian Christians in a truly unified federalized Iraq. On 14 APR 16 the Assyrian Christians who were not forcefully blocked by the KRG security forces made it to Arbel and peacefully protested in front of the Kurdish parliament building. As usual, the protest resulted in no action that might resolve the illegal land grab by the Muslim Sunni Kurds who have systematically taken over Assyrian lands over the past 26 years once the no-fly zone was established after the first Gulf War. So for now, the Muslim Sunni Kurds, who were empowered by the KRG and their supporters, are allowed to move into Nahla with no legal right to do so and begin seizing Assyrian Christian lands in the village of Zoly with no regard or respect for the Assyrians living in the area or the over 10,000 Assyrian Christians who are fighting and dying daily under the Kurdish flag, or the Assyrian Army which has by itself held the Forward Line of Troops against ISIS in the Assyria Nineveh Plain to save the same Muslim Sunni Kurds who collectively suppressed the Assyrian Christians’ rights on 14 APR 16. Furthermore, the Muslim Sunni Kurds are still taking more of the Assyrians’ land in Zoly as their cattle destroy Assyrian crops for the benefit on one Muslim Sunni Kurd over the hundreds of Assyrian Christians in Zoly. For now this corrupt system, called the KRG, will continue to fulfill a dream of “Kurdifying” yet another Assyrian Christian village for its economic benefit at the same time the Assyrian Christians are being systematically eradicated by ISIS, which has many Muslim Sunni Kurds serving within its ranks. As of this date, Ibrahim Hajji Yasin and his family members have moved more than 275 head of cattle into the Assyrian Christian village of Zoly and begun the construction of three new homes on Christian lands. Ibrahim Yasin’s actions are in keeping with Masoud Barzani, the President of the KRG who has also has taken land in Northern Iraq, designated it as government land, and given it to his privately owned non-profit organization in Iraq. In both cases, they have taken land and justified it for their personal use. “Like father, like son,” it seems that the current Muslim Sunni Kurds are no different than their ancestors who actively participated in the Assyrian Christian genocide a hundred years ago. For the Assyrian Christians living in the region, it is not difficult to deal with individual Muslim Sunni Kurds through the use of justifiable force. It is also not a difficult task for Assyrian Christians to deal with the handful of KRG security forces which were dispatched to block them from legally and peacefully protesting this land seizure through the use of military force. However unlike all others in the region who use military force to murder, pillage, and suppress the rights of the Assyrian Christians using mafia-style tactics of intimidation, coercion, and oppression–stealing Assyrian lands in the process–the Assyrians are more inclined to work through the legal and civil systems in countries and regions as Americans do, even if those systems are corrupt and have been created by tribal leaders to justify their actions. They do this to ensure that tribesmen who are not capable of understanding democracy learn to work within the framework of democratic institutions. The reality is that if the Assyrian Christians or the Yezidis in northern Iraq ever turned against the KRG the local government would not survive let alone become a capable region force that could fight against ISIS. When I was serving in the Army we had a saying in my unit that it takes seven cents to kill a man. That was in reference to the amount it would cost at that time for one bullet to end a problem with stupid. The Assyrian Christians could have easily used weapons to end the illegal occupation of their lands; they could have easily bypassed the KRG blockade and thus embarrassed Massoud Barzani’s local forces, which would have resorted to using force to stop any cars from bypassing the “security” checkpoints and blockades. But for Assyrian Christians to do so would mean that they are no better than the Muslim Sunni Kurds who use violent tactics, intimidation, or money to suppress the Assyrian Christians voice in the region while at the same time recruiting unemployed Assyrians Christians using U.S. provided taxpayer monies to be in their ranks to show the West that they are a different type of Muslim Sunni than their brethren and cousins who have joined ISIS or participated in the Assyrian Genocides of 1915, 1933, and 2014- present. The KRG and their global handlers want an Assyrian Christian and a Yazidi superficial representation in the KRG and the Peshmerga to justify forcing the establishment of a “sovereign” Kurdistan on these peoples. But the reality is, they do not really want an Assyrian Christian and a Yazidi independent representation or voice because it may delay the self-imposed timeline to achieve statehood for their economic benefit and not that of the people living in the region or for the security benefit of all the nations within the region to include the United States long-term footprint in the region. In the article we stated: “In a recent debate-style discussion in Irbil, Iraq, conducted by an Assyrian blogger, she stated that the ISIS of today is no different than the Ottoman Turks and their Kurdish allies from 100 years ago. In her assessment, the Kurds of 100 years ago conducted the same type of actions in support of the Ottoman Turks that ISIS is conducting against the Assyrians today . . .. When 11 Kurdish participants, who denied her accusations, challenged the blogger, she replied with a simple question: ‘Is your grandmother Kurdish or is or was she Assyrian?’ Eight out of 11 Kurds stated that their grandmothers were Assyrian. The Kurds of 100 years ago took many Assyrian women captive during the Assyrian genocide–just as ISIS is doing today. The reality is that, from the Assyrian Christian perspective, the Muslim Sunni Kurds have not changed significantly in the last 100 years, given several facts: 37 members of the KRG are members of the Islamic brotherhood; almost 300 members of their religious affairs departments have joined ISIS; and a large number of Muslim Sunni Kurds have joined ISIS to fight other Sunni Muslim Kurds. The only difference now is that the U.S. political apparatus, the State Department, and the Pentagon have no true allies left in the Middle East. They believe the Muslim Sunni Kurds can be sold to their bosses and the American people as a different type of Sunni Muslim because of their apparent willingness to fight the Turks, Iran, and Sunni Arabs at the request and the beckoning of the U.S. and other western nations. It is a false belief based on an equally false narrative that the large and effective Kurdish lobby in D.C. uses to secure more financial support from Congress and moral support from the Western media. Some of the U.S. taxpayer monies flowing into Kurdish coffers are used by the Muslim Sunni Kurds to “buy” the service of Assyrians in Kurdish armed forces. Once again, we see how Sunni Muslim Kurds have always wanted an Assyrian face in their organizations to justify the creation of a Kurdish state in the region but have never wanted the Assyrians to have an independent voice in a unified federalized Iraq. Therefore, the next time the KRG does not care to support the Assyrian Christians (who have 10,000 fighters fighting within Kurdish military ranks to protect Muslim Sunni Kurds like Ibrahim Yasin), the Assyrians may choose to (a) bypass the security forces of the KRG and remove the occupiers from their historical homeland by force; or (b) allow the grandchildren of Simko, the Muslim Sunni Kurdish assassin who murdered the Patriarch of the Assyrian Church of the East, along with ISIS to continue eradicating Assyrian Christians from the landscape of the middle east. The latter which is occurring with the approval and backing of members of Congress and other government workers who are too busy trying to keep their political seat in Congress or their government jobs rather than pushing back against the Muslim Sunni Kurdish information operation narratives, given their job security is more important than the pending eradication of the Assyrian Christians in Iraq. NEC-SC is curious to see how the U.S. supporters of the Muslim Sunni Kurds will react when they have to choose to defend the rights of the Assyrian Christians who may one day be forced beyond a point of no return and may have to pick up arms against the Muslim Sunni Kurdish tactics in the region. 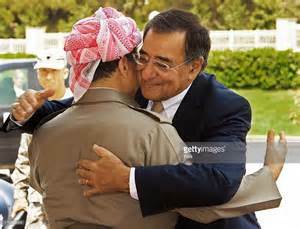 Will these American’s who believe in Democratic ideals continue supporting the Muslim Sunni Kurds (their financial investment in the region) even though the latter is suppressing the Assyrian Christians’ rights in their own homes and villages in order to control the Assyrians’ historical homeland of Assyria Nineveh Plain and replace them with their own tribesmen? A Holocaust victim was once asked: “Do you hate Hitler for killing Jews?” He answered that it was not Hitler but, rather, the “system” that killed the Jews–a system comprising “our neighbors who identified us, the people who inventoried our items, the individuals who secured our transportation to the death camps, and the …. Banks that laundered the Nazi monies through legal processes during the Holocaust.” Worst of all after the Nazi Germany fell, the same Vatican provided the passports required for the Nazi’s to escape to South America to avoid prosecution for war crimes. Today it’s the system imposed on Assyrian Christians by the Muslim Sunni Kurds and their bankers and supporters that is killing the Assyrian Christians. Unfortunately, with job security on the forefront, the State Department, Pentagon employees, and members of Congress who have tied their names to the support of Muslim Sunni Kurds have hand-cuffed themselves through system processes and misplaced loyalties to others and or at a point that they don’t care if they will be complicit in the eradication of a 7,000-year-old culture from the landscape of the Middle East as long as they can replace that culture with the Muslim Sunni Kurds and 300 heads of cattle. I am not sure how these people can justify allowing the KRG to oppress and replace the Assyrian Christians in Iraq while they provide them the backbone to do so. Such a justification would be as illegitimate as that of the Nazi officers’ claims that they were “just following Hitler’s orders” in killing the Jews. Maybe this is the reason the U.S. Congress did not recognize the Assyrians as an ethnicity in the genocide resolution (HCR75), and why the Senate is planning on doing the same in their own bill, because if they had or when they do, than they would have to tell Masoud Barzani and other Muslim Sunni Kurds to stop oppressing the voice of the Assyrian Christians in Northern Iraq who do not agree with you or are not willing to take your money given they do not want to be obligated to serving you rather than their people. The Yazidis learned this lesson well when the Muslim Sunni Kurds flew their flag over Sinjar after it was “liberated” from ISIS occupiers by Yazidis who had been forced to fight under the Kurdish colors. It should come as no surprise to Congress, the State Department, and the DOD that the Yazidis are not returning to Sinjar to live under the Kurdish flag. At least their genocide was recognized in the non-biding resolution given the Muslim Sunni Kurds were able to push the narrative that the Yazidis are simply a different type of Kurd. So what is next for the KRG and the Kurdish lobby in DC given the Assyrians have voiced their displeasure with the Muslim Sunni Kurds administration and operations in the region through a peaceful protest against Assyrian land grab in Zoly? Yesterday a high-ranking KRG official stated that the Kurds must now concentrate on working with the Christian religious leaders in northern Iraq given the political groups have failed them. This comment simply means that from the KRG official perspective, the Assyrian Christians and others, to include Yazidis, are nothing more than just a religious minority in their concept of a “greater Kurdistan”, and that they no longer deserve a political voice in the region as an ethnicity. For the United States that gives the Muslim Sunni Kurds $450,000 million USD of hard working American tax payer monies a month to execute the war against “ISIS” in both Iraq and Syria it is simple cowardness which forces them to stand by and allow the KRG officials to make such outrageous statements and target the Assyrian and other Christian leaders in Northern Iraq because the Assyrian Christians in Zoly simply believed that they are more important than 300 heads of cattle who have now replaced them in their own ancestral homeland with KRG approval.